It's graduation day. You have done your research, written your papers, put in late nights and made the grades. Cell phone cameras are all around, and as you walk across the stage a photographer takes a quick shot as you receive your diploma. All these photographs are fun memories you will have posted on social media, saved on your phone or computer. But what about the memory on your wall? The one that your parents will look at every day with pride. The one that they will show their friends as they brag about the goals you met and the future that lies ahead of you. Unlike the quick shots that were taken on that day, a professional portrait allows for the details to be just right. We can make sure your hair is in place. The tassel hangs just right. The robe and stole shows perfectly. And then we work on expression to give you a variety to choose from in a relaxed no pressure setting. 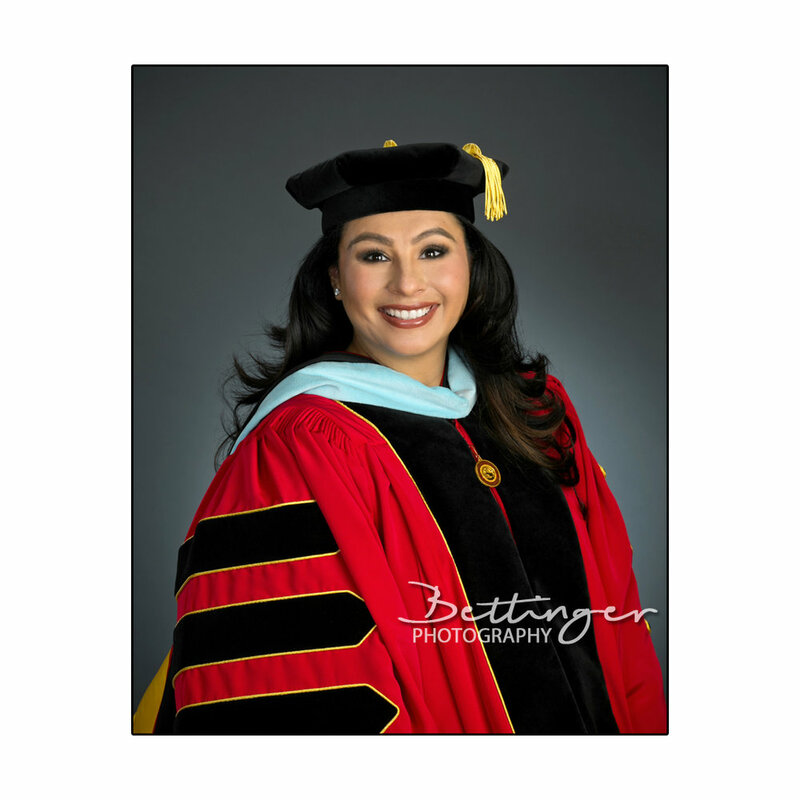 All Bettinger Portraits are color balanced and adjusted for density using individualized calibration by our skilled artist. They are then retouched, which removes blemishes, facial shine and fly away hairs while still keeping a natural look. Finally printed on high grade portrait paper by our professional photo lab to stand the test of time. This is the photograph you will be proud to honor your achievement with.